Rapid Automatic Naming: One of the main causes of reading disorder is a disturbance of an individual's phonological processing of speech sounds. Clearly, the importance of phonological awareness in predicting reading success or failure is well known. A less well known but perhaps equally important contributor to reading success or failure is processing speed. This is still a controversial area of research. Advocates of processing speed difficulty maintain that rapid naming tasks measure a sub-set of skills that is separate to phonological awareness, but of equivalent value in identifying reading disorder. Other researchers maintain that rapid naming tasks is inherently phonological in nature and that it activates the brain's phonological processing areas. Therefore it shouldn't be considered separate to phonological ability. The details of RAN is an exciting area of research, but unfortunately beyond the scope of this article. If people are interested in extra reading please try Maryanne Wolf's excellent Proust and the Squid: The Story and Science of the Reading Brain. There are several language and reading assessment tools that feature a Rapid Naming sub-test or sub-tests. Another prominent assessment tool that features several RAN tasks is the PAL - Process Assessment of the Learner. The PAL is a predominantly reading/writing assessment tool. 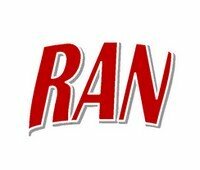 The sub-tests on the PAL devoted to RAN tasks are - RAN letters, RAN words, RAN Digits, and RAN Words and Digits. Of the two assessment tools, the PAL is more comprehensive than the CELF-4 in the naming tasks it examines. Please click on the link for a free handout to teachers that features strategies for Rapid Automatic Naming difficulty. Right-click to download this PDF file here.